You don’t have to be very perceptive to realize that something is wrong with the so-called “Modern Golf Swing,” and if you are even a little perceptive, you’ll know something is really wrong with it. You have pseudo-experts in the athletic field advancing a theory of producing power (by restricting the largest muscles in the hips and legs on the back swing and replacing that with a twisting of the lower back to produce the shoulder turn) that would cripple people in other sports (imagine trying that to throw a javelin or shot-put, or to swing a baseball or cricket bat). You also have people claiming things that are simply untrue, such as that the Modern Golf Swing gives people more power than the Classic Golf Swing of old. Agronomy – Byron Nelson was famously quoted as saying that the lawn mower is the greatest invention to aid golfers, and when you’re mowing fairways to the speed of the greens of 50 years ago, and making them hard and fast, you get the old 275 yard carry with 50 yards of run-out drives that end up at 325… you’ve likely watched some events on TV where they have “power chutes” in the fairway landing areas – hit that spot and watch the bounce careen and roll another 50-75 yards with the right conditions! The longest and most powerful drivers in the sport of golf long-driving are swinging in the Classic Golf Swing style, with very few exceptions (and those exceptions prove the rule). If you wonder why no one has conducted testing of “Classic vs Modern” in power production, you will be happy to know this testing goes on all year and you can see the results in the annual World Long Drive Championships! 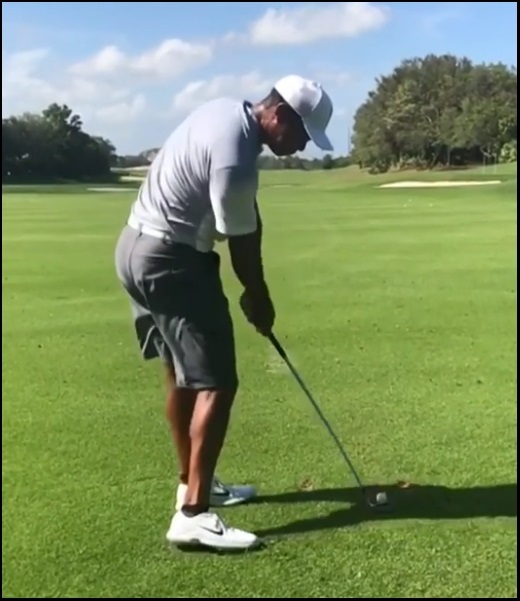 If 9 out of 10 long drive competitors are swinging with full and free hip turns and “floating” or separating leading heels – there is no argument in this world you can make for the Modern Swing models producing more power than the Classic ones, unless you are being disingenuous. And that, friends, is either a bold-faced lie or the claim of someone who has no idea that they’re woefully wrong. If I asked you which field of players at the top of their respective classes in driving accuracy were the highest, either a year in which most players were swinging the Classic Golf Swing style, or from last year – what would you think? 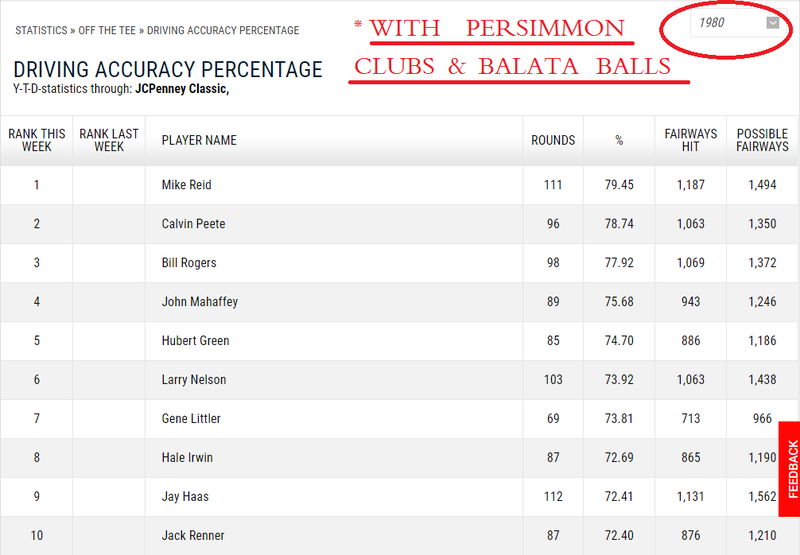 You’d think that, with the “more stable and consistent” Modern Golf Swing, and the added advantages of lower spin balls and the shoe-box sized, more forgiving on mis-hit titanium drivers would be more accurate than the tiny, persimmon-headed drivers and madly spinning balata balls, wouldn’t you? You see that above? It’s not even close. How on earth do you account for all ten of the top ten drivers in 1980 hitting over 70% fairways and not even half in the 2016 season getting 70% accuracy? And neither of these claims is true, as we’ve just discussed. Now, factor in that today’s golfers are coming down with back, neck, shoulder and knee injuries in their teens and 20’s (one of Wax Nation’s citizens recently recounted to me that now that his son is swinging MCS, he has no neck or back issues but the entire rest of his college team is ailing and spends bus trips with hot and cold packs on various body parts), and the truly horrific toll of the Modern Golf Swing madness has yet to be realized. You have the man who was destined to become the greatest PGA Tour golfer of all time, and who was likely going to break Jack Nicklaus’ record of 18 majors sometime in his mid-30’s (not to mention that he was likely going to win over 100 PGA Tour events before he was done), who can now not even play golf on any level in his early 40’s due to having undergone several left knee surgeries and four (count them) four back surgeries, the last of which was the “Hail Mary” spinal fusion, which is isn’t good at all, if you didn’t know that. This, when Jack Nicklaus was winning a major at 46 and when Sam Snead was winning Tour events into his 50’s, both of whom were “power swingers” and not easy-going plunkers (in case someone wants to argue that they weren’t swinging hard enough to injure themselves, because Nicklaus and Snead were both the most powerful drivers of their separate eras and routinely drove the ball 300+ yards with persimon and balata), and when most of the world’s top players (in their 20’s and 30’s) have already missed significant parts of seasons with injuries. So, it’s not more powerful, it’s not more accurate, and it’s tearing young bodies apart. You have the greatest ever champion Nicklaus condemning the Modern swing, as far back as 40 years ago, and you have the greatest ever women’s golfer (and rated top-10 of all golfers period), Mickey Wright, also condemning it, and yet on the main stage, you get crickets. 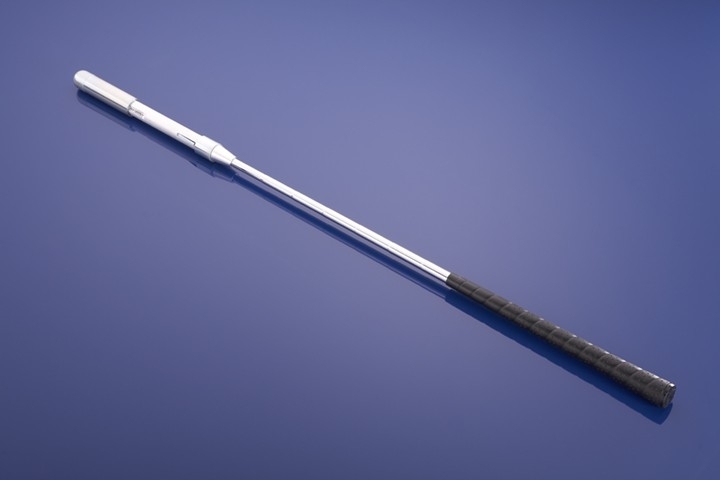 At the end of the day, I can only tell people what I’ve learned in my own 12 years of empirical swing research and how many different people who were on the verge of quitting golf altogether have found new life with taking up my MCS Golf Swing model, which is an optimal Classic Golf Swing action, because the modern swing was tearing up their backs. Or the many people who were struggling with consistency or power production and are now driving the ball longer than they were at half their age… you’ve read the comments and testimonials on this site and the other blogs I’ve managed over the years. 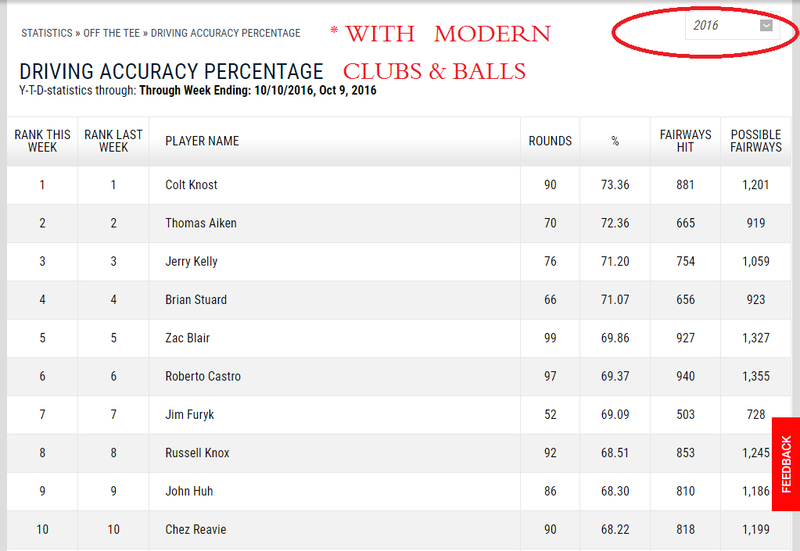 The results are in, and they do not show the Modern Golf Swing to be anything other than a fiction of the industry, using principles of motion and swinging that you will never see anywhere else in sports, because they are, simply and without bias (I go with the facts, regardless of my opinion, and I actually began my swing research swinging in the modern style! )… BOGUS. This is true now, and will be true years from now when the Modern Golf Swing has faded from magazines and television, and when the now-young generations of modern swingers are hobbling to therapy and recovering from their latest back surgery in their middle to later years. This entry was posted in Classic Swing, MCS Golf Swing, Modern Swing and tagged Classic Golf Swing, DJ Watts, MCS Golf Swing, Modern Golf Swing, WAX Golf on October 7, 2017 by D Watts. One your best and most complete blogs ever. In case the casual reader wonders why you keep pounding this drum – especially the younger reader (who probably thinks they are indestructible as we all did when we were younger), back pain is life changing. And if you keep twisting the low back you can end up with PERMANENT damage. So its a very serious topic. When it comes to the golf swing the not-so-funny truth is the modern swing is a weaker swing and much more dangerous. 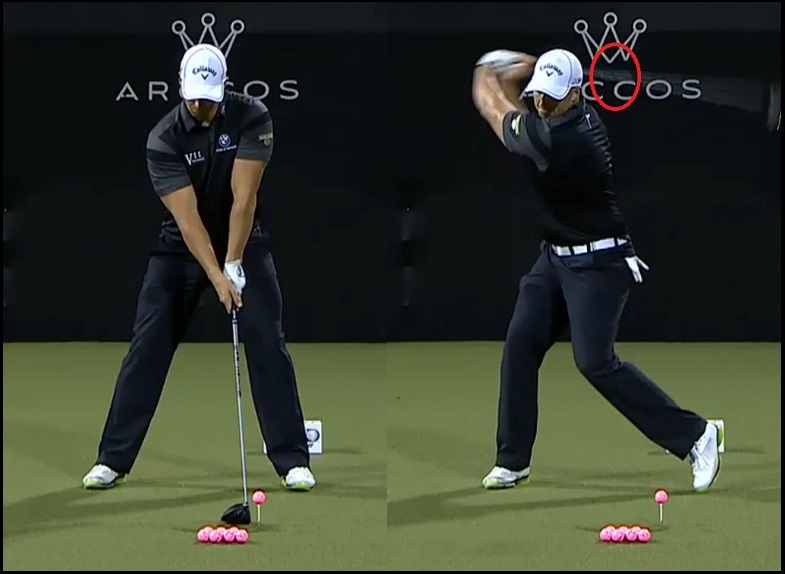 Only a complete fool will buy into this modern swing b.s. 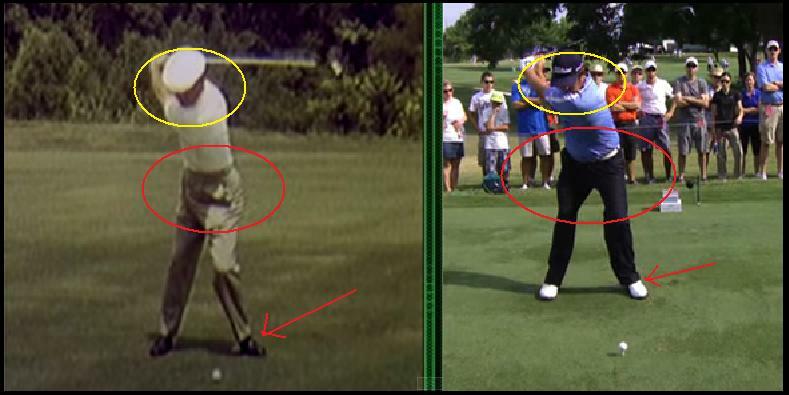 Only a complete fool will buy into this modern swing b.s. Many people have spent their entire golfing lives being taught the Modern Golf Swing principles, and I don’t even fault the teaching pros for having fallen for it. If it’s all you’ve ever been shown, then it makes sense. I save my… shall we say…“impatience” for those who should know better (rehab specialists and kinesiology/biomechanics “experts”), and of course, if you’ve been made aware of the ills and perils of the Modern Golf Swing and continue to insist on teaching or swinging this way, then the “complete fool” term may apply. PS – I can’t of course omit stating my personal belief here that many in the golf instruction industry know that the MGS is harmful and not in the same league as the Classic model – but that they also know that it’s a far more lucrative type of golf swing to teach because of the convoluted and compensatory swing mechanics that keep people coming back for more and more lessons. I am harsh on this because anyone who swings MGS and starts feeling pain, is a fool for not doing more investigation, which will quickly show the cause of the back pain. That’s what I did, is that so hard? Good point all, Tom – the problem of course is that the average person taking up golf goes to their local instructor trusting that they will learn a proper golf swing. And if that instructor is teaching the Modern Golf Swing principles… they are dead in the water before they even get started. I’m hoping this will change, but it’s hard to make any headway when the actual industry built around the playing of golf doesn’t want people learning a fundamentally-sound and easy to maintain golf swing. That’s what I did, Tom. When I began my research in 2005, Youtube had only been founded months earlier, and I believe it wasn’t until 2006 that I even heard of it. So, I began in ’05 using online golf magazine and other writings on the golf swing along with my Moe Norman video, the Bobby Jones shows I recorded from Golf Channel, and the like (the old Pete Kessler & Jim McLean GC shows on the swing). It was primitive! I hope he doesn’t swing any faster than that slo-mo clip, nor any harder than that half-swing. Problem is, those are easy swings – nowhere near as hard and full as what you’d be doing in actual competition. I do not think TW has any chance of returning to sustained top-level competition with a planted-heel swing. Not now, not ever. Yep, saying the same things you stated above. is he sitting on an ostrich?